Short: Here’s Knight Run for you. Long: The last group that was doing Knight Run (Knight Run Fan Cafe) has decided to stop releasing Knight Run as they were getting too buy with their lives. 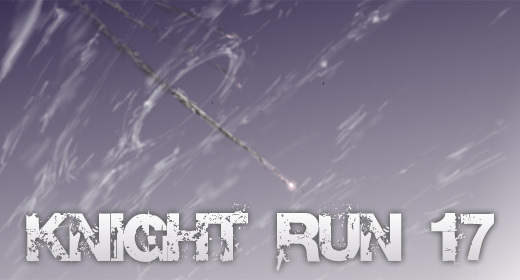 So, we’ve combined forces to bring you the next chapter of Knight Run. This will be the ONLY chapter that will be joint, rest of it will be done entirely by us. This chapter took quite a long time to put out. Reasons from varying degrees, but in the end, Shin pulled some heroic effort to make it possible. And lastly… the “check by KRFC” which was initially agreed upon… Frankly, I’m not even sure if it happened. But if that’s gonna take a month, it’s not worth the wait IMO. Why is it taking a month? I don’t know… Maybe they’re busy, maybe our liaison isn’t much of a liaison. But anyway, here’s our chapter. Hope you enjoy it. Previous Post Previous post: Zippy Ziggy – v7.ch49: Uncovered Shin-gi? Will you QC the old chapters by KRFC? is there something wrong with their chapters? Btw, if u login the blog… there’s no captcha at all. shin, even they admitted that their engrish is kinda weird. Anyway, when can we expect the next ch? What is the status of the translation? Went to expect the next chapter? hmmmm… From this day to infinity? but yeah were working on them. Or you can just answer the way you did before, if it makes you feel better. BTW : I love this captcha! Wow! This webtoon is awesome! Thanks a lot for translating this awesome series! I realize that other guy who asked this got a nonsensical answer, but is there any form of release schedule? know). I can’t even give a date for the next chapter though we will continue with the series so eventually you’ll get a new chapter. i don’t know where to ask so i’m doing it here… where can i find the earlier chapters? There are tons of sites with millions of manga/manhwa, ya know? If u didnt, here is a brave new world for you.